Mrs. Nancy L. Oswald, 75, of Slatington, Pennsylvania, passed away Thursday, April 11th at her residence. She was the wife of Kenneth H. Oswald. They were married for 44 years last December 1, 2018. Born in East Penn Township on Saturday, June 12, 1943, she was the daughter of the late Mark & Hazel (Ginder) Hoppes. Nancy was a graduate of Lehighton Area High School and later attended Business School. Prior to her retirement, she was employed as a purchasing agent for The Owens Minor Corporation and previously worked in the same capacity for The New jersey Zinc Company/Horse Head Industries. Nancy was a member of Ben Salem United Church of Christ where she formerly sang on the parish choir. In her spare time, she enjoyed playing a good card game of Kansas Rummy & Hasenpfeffer with her family, especially her grandchildren. Surviving in addition to her husband are 3 daughters, Melissa, wife of Terry Williams of Slatington, Marjorie, wife of Ryan Simmons of Andreas, Donna, wife of Jeff White of Dallas, Texas, 3 sons, Charles Frey & his wife Laura, of Lehighton, Nevin Frey & his wife Denise of Lehighton, William Oswald & his wife Kathy of Danville, Virginia, a step-sister, Jean Guldner of Bowmamanstown, 11 grandchildren, 2 great-grandchildren, nieces & nephews. She was predeceased by a step-sister, Kathleen Wentz. Funeral Services will be held on Tuesday, April 16th at 2 p.m. at Ben Salem United Church of Christ, 1965 Church Hill Road, Lehighton with the Reverend Michael J. McGowan officiating. Call 1-2 p.m. in the church. Interment in the adjoining parish cemetery. Memorial Contributions in her honor may be made to The Ben Salem UCC Building Fund, PO Box 128 Andreas, Pa. 18211. 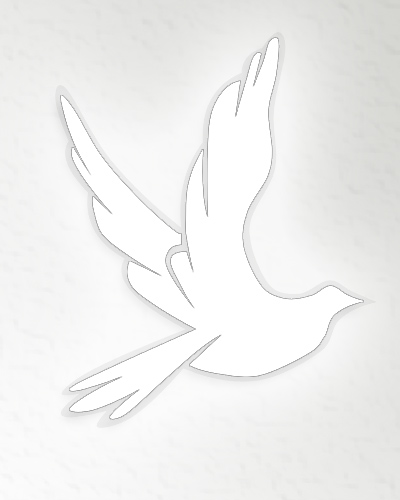 Online condolences can be offered at www.ovsakfh.com.